The Monterey Marina, located between Fisherman’s Wharf and the historic Cannery Row, features a 1,700-foot breakwater built by the Army Corps of Engineers in the 1930s. Few places on Earth seem to have it all. 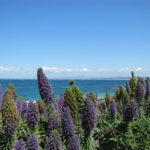 Monterey Bay is one of them; mesmerizing coastlines compete for attention alongside premier hotel and golf destinations, a thriving wine and culinary scene, and the area’s remarkable history, which, now that I mention it, is a wonderful place to start. It was Spanish merchant and explorer Sebastián Vizcaíno who paved the way for the Monterey Bay we all know and love today. Vizcaíno was the first European to step foot on the Peninsula back in 1602. He was so enamored with it that he named Monterey after the viceroy of New Spain, Count de Monte Rey. By the time spring of 1776 arrived, Captain Juan Bautista de Anza had arrived with 240 soldiers and settlers and their families. Over time, Monterey became the original capital of California when the constitution was signed here in 1849. 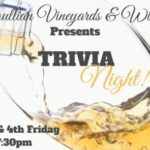 To this day, the region has deep historical and cultural significance. 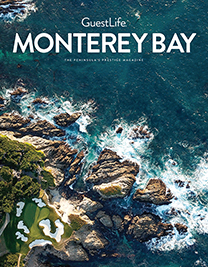 World-Class Golf and Lodging: Between the 26 public and private golf courses, especially those nestled within Pebble Beach, and the finest guest accommodations found in the entire state, Monterey Bay tourism now hovers somewhere around $2.85 billion annually. 17-Mile Drive and the Lone Cypress: The famous tree, located along the area’s most traveled and photographed thoroughfare, is the stuff of legend. It is also approximately 300 years old. Did you know: Cypress trees are native only to this region, and they can live up to 4,000 years. Best Setting for a Big Soirée: Between the luminous Concours d’Elegance, the Pebble Beach Food & Wine Festival, the AT&T Pro-Am, and the 2019 U.S. Open (see page 68), among other annual fests like the prestigious Monterey Jazz Festival, there’s no shortage of celebrations along the Central Coast. A Mighty Marine Sanctuary: Monterey Bay National Marine Sanctuary is one of the nation’s most remarkable protected areas. Dubbed the “Serengeti of the Sea,” it continually inspires and, thanks to the Monterey Bay Aquarium’s research and educational programs, we continue to learn more and value the stunning marine life that have made this place their home. And you will discover even more about the region in this edition of GuestLife Monterey Bay. We’ve unveiled the Best of the Bay (page 31), we’ve honed in on the finest activities to experience on land, on sand, and in the sea (page 36), and we also show you how everything from the region’s car culture (page 72) to its exquisite food and wine scene (page 82) continually charms. In between, you can’t beat the views. Look around — and welcome to paradise.